Spokane Washington and McCook Illinois: View of Swindell-Dressler brochure highlighting the Electric Furnaces designed, constructed and installed in two Alcoa plants during World War II. 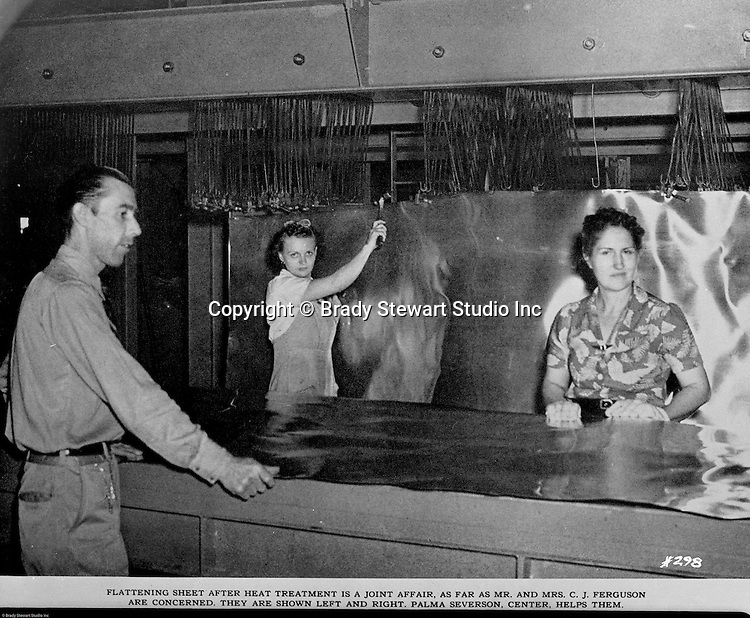 The caption reads: Flattening sheet after heat treatment is a group affair as far as Mr. and Mrs. C.J. Ferguson are concerned. They are shown left and right and Palma Severson, center, helps them.